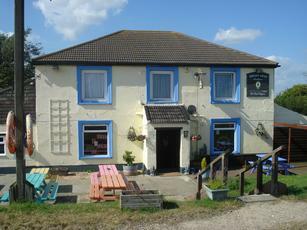 Very unusual pub stuck in the middle of nowhere. Worth going to once simply because the location is so strange. A bit tatty - perhaps they could spend some time in the winter doing it up. Pleasant enough landlady who sounds as though she comes from Birmingham originally. Decent beers including Sharpie and Trawlerboy. Average pub food - burgers, scampi etc. Service OK. Visited this Broadland classic in APril this year on a cold windy Sunday lunchtime, it was a welcome haven I can tell you! A bit tatty and run down though, its only open from March to October ( a condition of its licence) and you would think with little else to do they could have tidied up and decorated in the Winter months.Beer was by Humpty Dumpty and good. 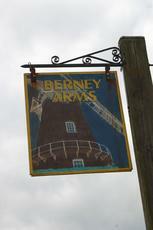 We walked out from Reedham (after one for the road at the Reedham Riverside Beer Festival at the Lord Nelson) in a very leisurely 1 hour 40 mins and were very ready for the good beer when we got there. Humpty Dumpty's Little Sharpie, Golden Gorse and Wherryman's Way IPA, and one from Tipples too, all served well. 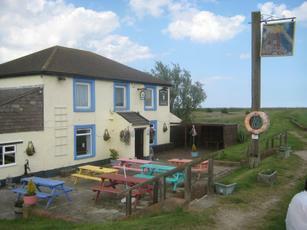 A very cosy refuge from the windy marshes, very popular on a Tuesday afternoon with walkers and boating families. Perhaps could use a little TLC, but not really the worse for it. We walked back and the wind sobered us up enough to stop off at the Nelson for just one more. My first visit here, was by boat in 1976 - the Summer of all Summers.